In 2013 was produced vessel Leopard 44 called PelosaII. This yacht is based in harbor Victoria in area of Mahe in Seychelles. You can accommodate up to 8 persons on the boat PelosaII. Layout of sleeping places is 8. There are 4 cabins located under sailboat's deck. PelosaII has 4 WCs. Use our website to find more boats by going to the section Catamarans Mahe. Tank for fuel is 700.00 l liters big , tank for water has up to 780.00 l l. In this vessel there is engine 2x 39 hp Yanmar Diesel. With 12.98 m of LOA and 7.25 meters of width PelosaII provides enough space for comfortable sailing. Leopard 44 PelosaII is equipped with: Air conditioning, Dinghy, Mainsail with lazy jack. . Caution is at the level of 4000.00 EUR. 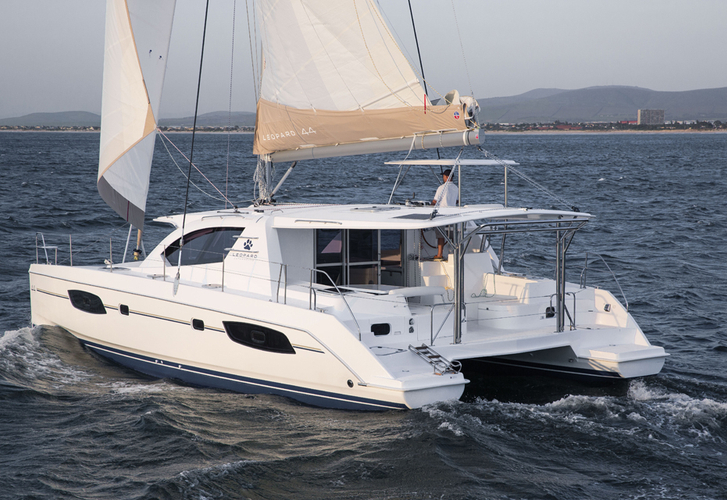 You can get more search results in this site: Catamarans Victoria.